Today 300 million people suffer from asthma, with 250000 annual deaths attributed to it worldwide. The idea of breath actuated inhalers isn’t new, but many of these require a higher force and speed of inhalation for optimal drug delivery, which can be a challenge for patients with breathing conditions. The Critikal Study suggests that up to 4 out of 10 patients don’t inhale sufficiently hard and fast with their dry powder inhalers and this is associated with poor asthma control. k-haler was designed to address many of the issues that have persisted since the invention of the first pressurised metered dose inhaler in 1956. It is breath activated, eliminating the need for patients to coordinate their breathing, but takes lower force to trigger it than most other breath actuated inhalers. 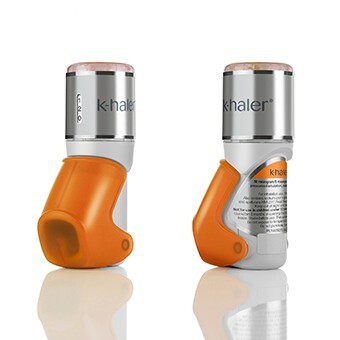 k-haler’s unique technology has the potential to be suitable for a range of inhaled products and forms a platform for future drug development by Mundipharma. k-haler is designed with patients and clinicians in mind, including the device, packaging, patient information leaflet, online training tools, integrated dose counter, labelling and material finishes. The colour enables easy identification, important for patients with multiple medications. 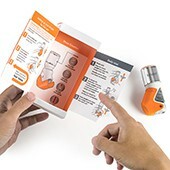 The pack reveals information in a controlled order, and an interactive web training tool aids correct usage. Studies show that patients are able to use the device within 15 minutes, irrespective of age. The k-haler was designed and developed by Mundipharma and key partners, at their Cambridge facility in the UK. k-haler has a combination of snap fits, top loaded counter mechanism, and automated label application. The main label creates the counter window and its design helps k-haler feel clean and simple, whilst also helping orientation. Labels are tamper evident, and allow the upgrade of colourways, regulatory information and branding. 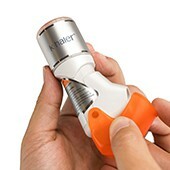 k-haler has a breath triggered valve, which when patients breathe in, automatically releases a dose. This unique valve removes the need for coordination during inhalation. Width 31mm, depth 50mm, height 89mm. The ergonomic, compact k-haler is discreet and easy to carry. It's a closed system, preventing dirt clogging the device and irritating airways. The counter mechanism displays individual doses from 120 to zero. It uses the Tiresias font that has been designed for clear legibility by the Scientific Research Unit of the RNIB. Coloured warnings provide 1 week’s notice allowing patients to plan ahead for refills. A full red bar indicates when the device is empty. The Critikal Study suggests that up to 4 out of 10 patients don’t inhale sufficiently hard and fast with their Dry Powder Inhalers. The Bell Study states that 99% of those tested with the k-haler, were able to generate adequate inspiratory flow to trigger the device at their first attempt. Multiple qualitative design research sessions were conducted across key European markets with patients and clinicians. These were used to improve general device usage such as priming, handling and orientation. The Mundipharma global network of privately-owned independent associated companies was founded in 1956 by doctors and now operates in over 120 countries worldwide. We are focused on developing business partnerships to identify and accelerate meaningful technology across an increasingly diverse portfolio of therapy areas including respiratory, oncology, pain, and biosimilars. Consistent with our entrepreneurial heritage, we like to think we see what others don’t by challenging conventional wisdom and asking different and challenging questions. By working in partnership with all our stakeholders, the Mundipharma network develops medicines that create value for patients, payers and wider healthcare systems. K-Haler Inhaler by Mundipharma International Limited is a Nominee in Scientific Instruments, Medical Devices and Research Equipment Design Category. · Click here to register today inorder to be able to view the profile and other works by Mundipharma International Limited when results are announced. K-Haler Inhaler by Mundipharma International Limited is Winner in Scientific Instruments, Medical Devices and Research Equipment Design Category, 2017 - 2018. 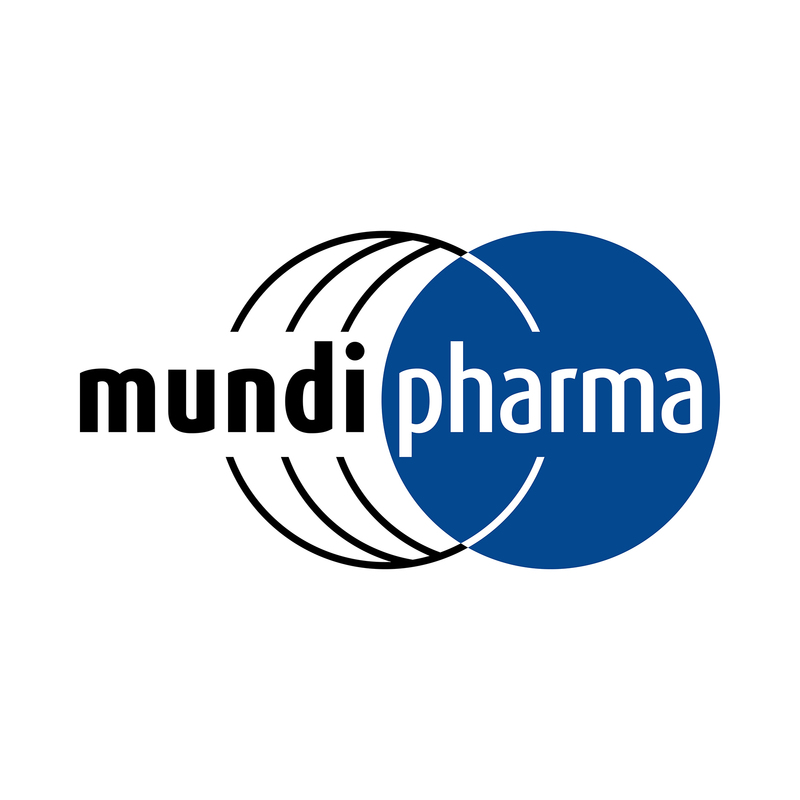 · Press Members: Login or Register to request an exclusive interview with Mundipharma International Limited. · Click here to register inorder to view the profile and other works by Mundipharma International Limited. Did you like Mundipharma International Limited's Medical Product Design? 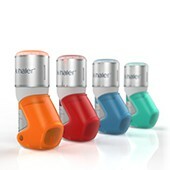 Did you like K-Haler Inhaler? Help us create a global awareness for good medical product design worldwide. Show your support for Mundipharma International Limited, the creator of great medical product design by gifting them a nomination ticket so that we could promote more of their great medical product designs.